Have you ever sat back and thought about just how much technology improves travel? Online bookings have made it easier than ever to design our own trips, mobile check-ins save you from lines at the airport, and smartphones and laptops function as either work or entertainment systems, even from 13,000 feet. Technology undoubtedly makes travel easier, more efficient, and a hell of a lot more fun. If you really want to create the perfect marriage of travel and technology, make sure you’ve got the accessories listed below in your bag. They will upgrade your trip and make you the envy of all of your friends. Charge up, pack up, and hit the road with these five travel tech essentials. 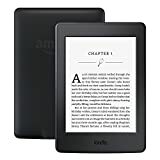 If you are a big reader who loves to take advantage of the hours spent in the air but doesn’t want to haul around an armful of heavy and bulky books, consider investing in this super low-profile kindle. The e-reader is truly incredible. Slim enough to fit in a coat pocket, it can hold thousands of books and won’t lose charge every day. It is lighter than a paperback, and even displays your books on digital paper, rather than on a backlit screen. This is easier on your eyes and means. You can even read digital books while sitting in direct sunlight. You can download books quickly and efficiency right on the device itself, no need to plug it into a computer! This e-reader will more than up your reading game. So instead of making a difficult choice on which book to read on which trip, bring along this Kindle and carry a whole library with you! Sometimes on vacation, all you want to do is sit back and watch your favorite movies and TV shows. In the streaming era, that means logging in to Netflix, Hulu, and HBO Now. Sadly, not every hotel and Airbnb is going to offer a smart TV. For those of us who haven’t watched cable in years, that can be quite a disadvantage. 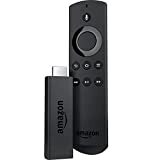 To avoid the horror of watching scheduled programming and suffering through commercials, bring along this Amazon Fire TV Stick. As long as you can connect to WiFi, you can plug in this discrete little Internet connector and access your favorite streaming services from anywhere! Just plug it in, follow the easy set-up steps, and log back into your personal streaming accounts. Before you know it you will be watching your favorite movies and TV shows, right from the moments you left off at! It will literally feel like you picked up your own TV out of your house and brought it with you. What could be better than that? Planes are loud, as are your fellow passengers. 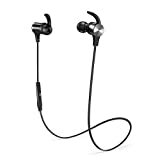 Sometimes the best thing you can do on a flight is turn on some music and tune everything out – and these Bluetooth headphones are perfect for that! They are small and easy to pack, which is great if you are trying to travel light. Plus, they connect to your smartphone via Bluetooth, so you won’t have to wrestle with any cords. The one small cord that connects the two earbuds together sits across the back of your neck and ensures that you won’t actually lose your right or left earbud to the abyss if you wind up falling asleep and fidgeting during your journey. The two buds even have magnets, so they will conveniently snap together around your neck when not in use. This slim, convenient little piece of technology is bound to make your trip better than ever. If you ever grow concerned about your home during your time away, then invest in this little security camera. This amazing piece of technology can be set up nearly anywhere in your home and connected to your smartphone via an app. At any time during your travels, you can login and view a live video to make sure that all is as you left it on the home front. This is great for anyone who is worried about their pets, or the general safety of their home while they are away. It is small, convenient, and reasonably priced. It even features night vision if you decide to check in in the middle of the night. Leave home without a worry and check out this little camera whenever the urge strikes. You will never feel safer or more secure during your time away. If you are going to be renting a car at your final destination, make sure you have an easy and convenient way to display the GPS on your phone. 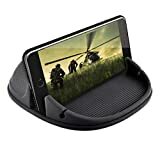 This car mount is fantastic because it sits right on top of your dashboard with its anti-slip surface. This way, you don’t have to worry about an accessible cup holder or the proper air vents for your holder. You can just set this mat down, pop your phone into place, and head off towards your lodgings. It will work with almost any smartphone or GPS device. However, the manufacturer promises that it is compatible with the iPhone X/8/8 plus/7/7plus/6s plus/6/5Se/5s/5/4s, Samsung Galaxy Note8, S8plus, S7Edge, Nexus, Pixel, LG, Sony, HTC, IPAD, Huawei, and Xiaomi. It even has a small tray in front of your phone where you can store parking tickets and spare change during your trip. Travel and technology work together like chocolate and peanut butter. You will travel smarter and be connected, making life easier. And if you aren’t near an electrical source, you may want to consider the eco-friendly solar powered options. Pack up these travel tech essentials and upgrade your travel from A to Z!